Food photography has had a long and apparently insatiable relationship with food itself. Since the dawn of photography, photographers have played fast and loose with the subject, aping fine art, both classical and otherwise, and using studio techniques to change and enhance the way food looks. For the past couple of decades, however, some photographers have eschewed artifice in favour of a more honest and visceral approach. Over that time food has also been politicised and scrutinised with unprecedented intensity. For many, the food on the plate has become unnecessarily alienated from its provenance and its ingredients. 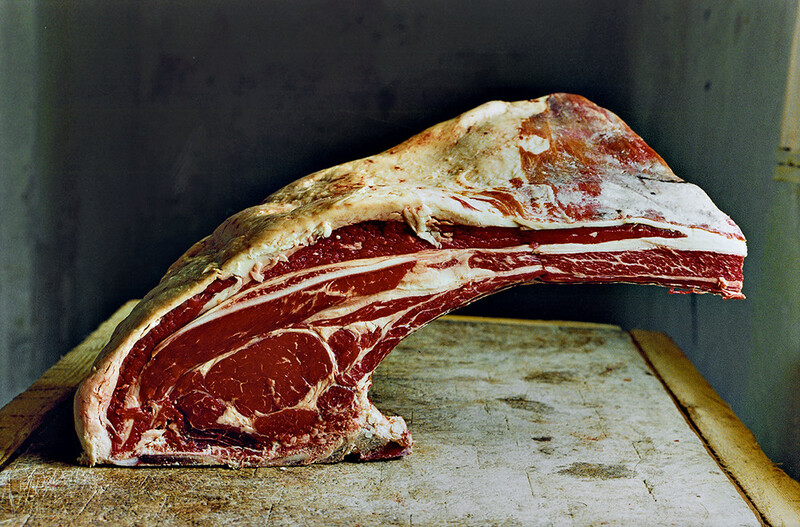 The work of Tessa Traeger, Simon Wheeler and David Loftus shows that what goes into food is essential, earthy and sometimes bloody, and can be the product of love and respect rather than industrialisation. 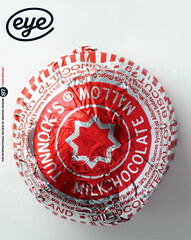 See ‘Painting with food: Tessa Traegar’, ‘Focus on the narrative: Simon Wheeler’ and ‘Shooting fast with Jamie: David Loftus’ in Eye 87. 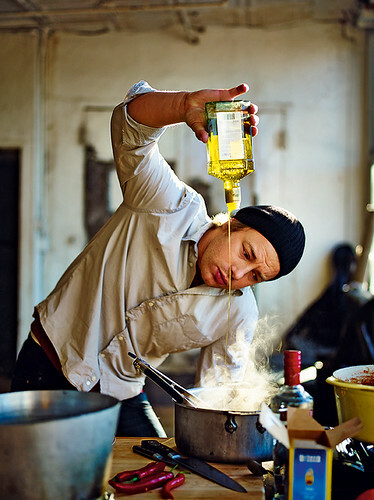 A digital photograph by David Loftus of Jamie Oliver in daylight in New York, 2008, for Jamie’s America, Penguin 2010. 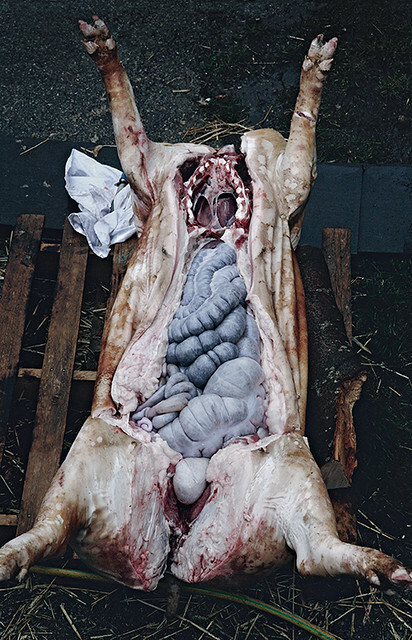 Top: photograph by Simon Wheeler, used as a chapter-opening spread in the River Cottage Meat Book by Hugh Fearnley-Whittingstall, Hodder and Stoughton, 2004. Photograph by Tessa Traeger from her book Voices of the Vivarais, 2010, which is a book, and was an exhibition at the Purdy Hicks Gallery. This long-running project documents the food producers of the Vivarais region in southeast France.